OSLER, Sir WILLIAM, physician, educator, medical philosopher, and historian; b. 12 July 1849 in Bond Head, Upper Canada, son of Featherstone Lake Osler*, a Church of England priest, and Ellen Free Pickton, both of Cornwall, England; m. 7 May 1892 Grace Linzee Revere, widow of Dr Samuel Weissell Gross, in Philadelphia, and they had two sons, one of whom survived infancy; d. 29 Dec. 1919 in Oxford, England. William Osler was the eighth of nine children. His mother, Ellen, who survived past her 100th birthday, lived to see a son, Britton Bath Osler*, recognized as one of Canada’s most distinguished trial lawyers; another, Featherston Osler, a judge of the Ontario Court of Appeal; a third, Edmund Boyd Osler*, a highly successful financier; and a fourth, William, the best-known physician in the English-speaking world. William’s father had accepted an evangelical calling that took him from the Royal Navy to a challenging life battling God’s enemies in the sparsely populated bush north of Toronto in Upper Canada. The Oslers came to their new home in 1837. As the family grew, inadequate educational opportunities in Bond Head dictated a move to a larger community. In 1857, when the rectorship of Ancaster and Dundas became vacant, the family took up residence in Dundas, which was to be their home for 25 years. William was an active and mischievous child, and numerous stories describe his jokes and pranks, one of which ended in an overnight stay in jail. But Osler was also a fine student who planned to pursue his father’s vocation in the church. 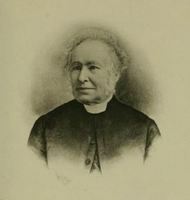 In 1866 he was sent to Trinity College School, then in Weston (Toronto), operated by the Reverend William Arthur Johnson*. Not only an Anglican priest and schoolmaster, Johnson was also an ardent biologist who introduced Osler to microscopy. Before long, Osler’s commitment to the church began to falter. From his father’s library Osler had acquired a deep knowledge of religion and of the writings of many theologians. For wider intellectual vistas, however, he had to await his close friendship with his teachers Johnson and later Dr James Bovell* of Toronto. In Johnson’s school Osler was exposed to large doses of the classics. Indeed, the chief intellectual influences on his life, as he entered his twenties, were secular. During the summer of 1871 he discovered the writings of Thomas Carlyle and he became a great believer in Carlyle’s admonition to ignore what lies dimly at a distance and direct one’s energies to doing what lies clearly at hand. He was also imbued with the sceptical attitudes of Sir Thomas Browne while he was still a teenager. And he became interested in the writings of the agnostic Thomas Henry Huxley. He was deeply impressed by his reading as a youth and a young man. A great deal is known about these influences, for in later years Osler would often tell his listeners and his readers who they were. Osler enrolled at Trinity College, Toronto, in divinity in 1867, but after one year he switched to medicine. He was much affected by his growing friendship with Bovell, the prominent physician and naturalist. It was probably Bovell who advised him to leave the Toronto School of Medicine and to complete his medical studies at McGill College, Montreal. At least partly, this advice came because the Toronto General Hospital was in a state of flux, having recently been closed for a year because of financial and other problems. So in autumn 1870 Osler, aged 21, transferred to McGill for his last two years of medicine. There he came under the influence of a great teacher and clinician, Dr Robert Palmer Howard*. In Bovell and Howard, Osler had the good fortune to have advisers who exemplified the best in functional, day-to-day, unrehearsed humanism and in humane care for the sick. Their example undoubtedly strengthened his own natural inclinations. This humanistic tradition is important in explaining the respected position which Osler continues to hold today as a role model for students. He proved to be a fine scholar at McGill, as shown by his coming first in the final examination. Even more important, particularly as a forecast of accomplishments to come, was the award of a special prize for his thesis, which was distinguished for its originality. On graduation Osler was able to arrange a lengthy trip to western Europe, then the centre of the medical world. A gift of $1,000 from his brother Edmund made the trip possible; Edmund’s generosity was a frequent and significant phenomenon in William’s life. He travelled first to England, and spent several months studying physiology in London, where he made some observations on blood platelets which were among his most original scientific achievements. He continued his studies on the Continent, especially in Berlin and Vienna. This casual, self-prescribed, peripatetic approach to postgraduate study was typical of the time. When Osler left for Europe he had planned to become an ophthalmologist. But during his absence another man returned to Montreal to take up this work and, so rudimentary was medical specialization in the 1870s, Osler and his advisers concluded that there was no need for another ophthalmologist in the city. His training was, therefore, directed to what today would be called general medicine combined with pathology. He sailed back to Canada in spring 1874 without a position, and returned to Dundas, where he worked as a general practitioner. He also acted as a locum tenens for a physician in Hamilton. Soon after, he received an offer from McGill of the post of lecturer in the institutes of medicine for the academic year 1874–75. He accepted and so began his academic career. In spring 1875 Osler was awarded the rank of professor. During his decade with the medical faculty he was pathologist to the smallpox ward of the Montreal General Hospital; practised privately, with scant financial gain; published extensively in clinical medicine, pathology, and veterinary medicine; contributed to and in some instances helped create medical and convivial societies; and gradually acquired a reputation, first in Canada and soon across the continent, as an astute clinician and a talented teacher. He encouraged the development of closer relations between McGill and the Montreal Veterinary College [see Duncan McNab McEachran*]. He introduced modern methods of teaching physiology, edited the first clinical and pathological reports issued by a Canadian hospital (the Montreal General), performed almost 1,000 autopsies, and made numerous preparations of important specimens for museums. He occupied various roles in the Canadian Medical Association, being elected general secretary in 1881 and president in 1884. Moreover, he demonstrated charity in his dealings with his fellow physicians, generosity to his students, and fidelity to his numerous duties. His many uncommon qualities earned him remarkable popularity, which he retained throughout his life. When the University of Pennsylvania sought a professor of clinical medicine in 1884, Osler’s name was prominently mentioned. He was particularly well known to the leaders of the school because several of them were also editors of the Medical News (Philadelphia), an important journal for which Osler was the Montreal correspondent and to which he frequently contributed. A flip of a coin is said to have decided the matter for Osler. For the university, it is said, a more exacting test was imposed. Supposedly Dr Silas Weir Mitchell, a member of the medical faculty, took Osler to dinner and ordered cherry pie for dessert. Osler handled the pits gracefully and got the job in 1884. 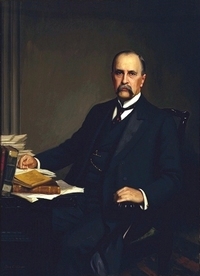 Osler’s accomplishments and contributions in the United States were to exceed those in Canada. During four and a half years in Philadelphia, October 1884 to May 1889, he continued his intensive work in pathology, expanded his clinical activities, and again showed his remarkable capacity for promoting cooperation and inspiring disciples. By the time the new Johns Hopkins Hospital, Baltimore, began to look for a chief of medicine, he was the logical front-runner. 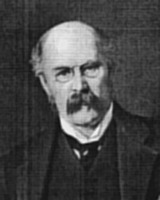 Osler was appointed and took up the post in May 1889. Along with William Stewart Halsted, William Henry Welch, and Howard Atwood Kelly, he would play a large role in making the Johns Hopkins school of medicine, which opened in autumn 1893, one of the great medical schools of the modern era. Osler’s years in Baltimore extended from 1889 to 1905. Some of his most important clinical papers were written there, as was the renowned text The principles and practice of medicine . . . , a lucid volume especially notable amongst its competitors for its candid depiction of the futility of most attempts at drug therapy at the time. Principles was published first in New York in 1892 and a revised edition appeared every three years thereafter throughout Osler’s life. 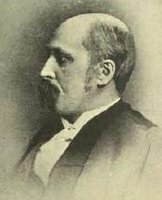 Beginning with the tenth edition, Dr Thomas McCrae, brother of John, became a co-author and he continued the book after Osler’s death. Hundreds of thousands of copies were printed and the book was the most influential general medical text for a period of 40 years. It was widely recommended for medical students and was the book that one would expect to find in a practitioner’s office. French, German, Spanish, and Chinese translations appeared. Furthermore, the text had one very special consequence. In the summer of 1897 Frederick Taylor Gates, the principal associate of John Davison Rockefeller in that industrialist’s philanthropic endeavours, was urged to read Osler’s text by a friend, a young medical student. Gates read the entire book, “one of the very few scientific books that are possessed of high literary quality,” and came to realize how little was then known of disease, especially of the causes of infectious diseases, and how largely futile were methods of treatment. When, within a short time, the Rockefeller Institute for Medical Research was created, Gates observed that “it had its origin in Dr. Osler’s perfectly frank disclosure of the very narrow limitations of ascertained truth in medicine as it existed in 1897.” Osler’s text, and Gates’s reading of it, led to unmeasurable good. At the Johns Hopkins school of medicine Osler helped introduce a new emphasis on bedside clinical instruction, as well as a system of organized postgraduate training and education that is still the standard for the western world. He focused his always strong historical interests into vigorous support of the importance of medical history for students and practitioners. He presented major addresses on numerous occasions, frequently producing essays which remain inspirational today. And his students began to carry his methods and his example to other schools, cities, and countries. While in Baltimore he married. A close friend, Samuel Weissell Gross of Philadelphia, had died in 1889. His widow, Grace Revere, a great-granddaughter of American patriot Paul Revere, became Osler’s wife in May 1892, when Osler was 42 years old. Grace Osler was a most unusual woman, eminently capable of bearing Osler’s erratic habits and remarkably complicated schedule. Their relationship seems to have been deeply rooted and remained a source of mutual strength. They had two children, the first an unnamed son who died within a week of birth. Then came Edward Revere Osler, born in 1895, who was his father’s greatest joy. Although never a scholar, Revere ultimately delighted his father by developing a deep affection for books. Thus Osler’s life in Baltimore became full of the joys of family and the satisfaction of becoming one of the most sought-after consultants in North America. Eventually this fullness became plethora. The demands exceeded even Osler’s remarkable abilities. Yet saying no was difficult and distasteful and even, at times, impossible. At Oxford the Oslers acquired a beautiful home near the Bodleian Library. It became the focus for many hundreds of visitors over the next 14 years. Students, visiting colleagues, nurses, friends of friends, all were welcomed, and if special care was possible, it would be given to Canadians and Americans. 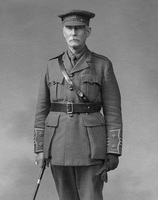 Osler soon was as busy in England as he had been in North America. Indeed, his life actually became more complex. The hoped-for repose, supposed to occur because of the lack of clinical activity at Oxford’s medical school, was evanescent. During this final period of his life, Osler helped found societies and journals. He sought by various means to eradicate ill feeling within the profession. He also battled against antivivisectionists and for public health measures of all kinds, promoted clinical teaching at Oxford, collected books for his burgeoning library of medical-historical material, and wrote. In 1911 he was created a baronet. He saw the approach of war in 1914 with horror and deep foreboding. In this he was prescient for, after he had seen so many other families struck down by the tragedy of armed conflict, his beloved Revere was killed while serving with the Royal Artillery in August 1917. Although Osler lived more than two years longer, there was no doubt in the minds of those close to him that he was a changed, even a dying man. 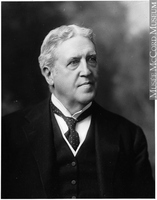 He became physically ill in the autumn of 1919 and, after a prolonged affliction during which he predicted his own death quite clearly, he fulfilled his final accurate prognostication when he died late that year at age 70. Osler’s scientific contributions were not extraordinary in quantity or quality and would not in themselves justify the interest that still surrounds his name. Nevertheless, these contributions were significant. Cardiac disease of all kinds, and endocarditis in particular, intrigued him, and he made important clinical observations. His paper on chronic infectious endocarditis contains his description of what still are referred to as Osler’s nodes. There are other eponyms that indicate either priority or importance of a contribution as judged by his peers. One example is Osler-Weber-Rendu disease, or hereditary telangiectasis. Osler-Vaquez disease, or polycythaemia vera, was discussed by Osler in 1905. He noted the priority of Henri Vaquez (and several other authors) in reporting similar cases. A final eponym emphasizes Osler’s breadth. He did much veterinary work, particularly in Montreal. While there, he was the first to describe an organism that caused bronchitis in dogs and was subsequently labelled Syphranuri osleri. But Osler’s specialty was clinical teaching. 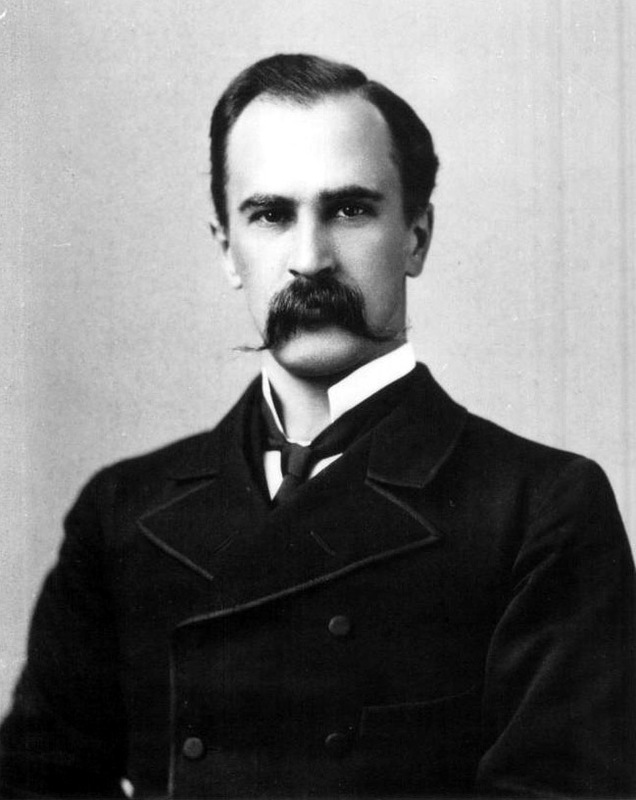 He stated, “I desire no other epitaph – no hurry about it, I may say – than the statement that I taught medical students in the wards, as I regard this as by far the most useful and important work I have been called upon to do.” Osler’s efforts to enlarge the contact between students and patients was but one step in a major campaign to assure the retention of humanistic values for these future practitioners. Before his time, bedside teaching was not common in North America. A generation back, it had still been possible for a physician to graduate from a reputable school without seeing a patient in hospital. Even a contemporary, Abraham Groves*, who became one of Canada’s most daringly innovative surgeons and who was a student in Toronto when Osler was there, graduated without seeing the abdomen opened. Osler achieved his most potent influence in his direct contact with students. At McGill he spent his salary to purchase microscopes and he voluntarily conducted classes in microscopy for those who were interested. He also invited students into his home. In Baltimore a small circle of young medical residents living next door ultimately came to be so much a part of the household that all were given keys to the front door. Members of this élite group came to call themselves latch-keyers, a distinction they treasured. His students were inspired to read more widely and, in many cases, acquired a lifelong interest in history or literature. Osler has been described as shaving with one hand while the other held a book he was reading; this description may be apocryphal but there is no doubt that he practised what he preached – the importance of reading at bedtime. He prepared a list of recommended books which included such favourites as the works of Marcus Aurelius Antoninus, Sir Thomas Browne, and Shakespeare. Osler also became a noted collector of rare books, thus laying the foundation for the magnificent library he bequeathed to McGill University. Sometime relatively late in his life he developed the idea for what would become the Bibliotheca Osleriana . . . (Montreal, 1969), the great catalogue of his library. His idea was that the memorable books of medicine and science could be divided under several rubrics. The most important, the unquestioned classics, he placed in the category of bibliotheca prima: works by William Harvey, Hippocrates, Andreas Vesalius, and so on. Of slightly less import were the bibliotheca secunda – the writings of Giorgio Baglivi, Matthew Baillie, Jan Baptist van Helmont, James Lind, and others. The remainder of the collection is divided into litteraria, historica, biographica, bibliographica, incunabula, and manuscripts. The system is unique and shows clearly Osler’s enthusiasm for history as biography, for the importance of the individual in his own right and as a role model. His collecting was much helped by frequent gifts from his bountiful brother, Edmund. Osler himself spent much on books and frequently “sanctified a fee” that way. 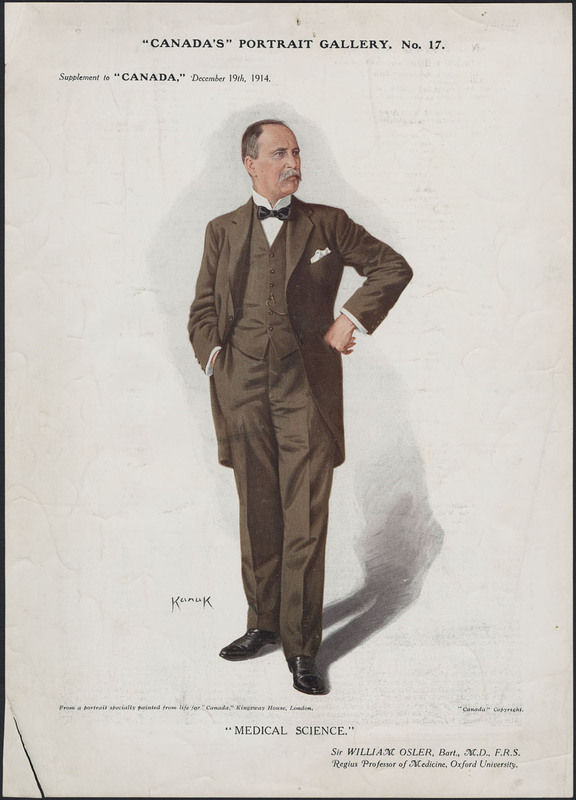 He was not an avaricious collector; he was notorious for unstinting generosity to individuals and to libraries, and many universities in Great Britain and North America today display gifts from Osler which rank as extremely valuable additions to their libraries. Osler was a prolific writer. His bibliography includes about 1,500 entries, an impressive total by any criterion, even taking into account the fact that a certain amount of duplicate publication was completely acceptable in his day. He wrote or edited a few books – the great text, The principles and practice of medicine; his multi-author seven-volume Modern medicine; its theory and practice . . . (New York and Philadelphia, 1907–10); several short monographs on chorea, abdominal tumours, and angina pectoris; and his interesting and graceful general history, The evolution of modern medicine . . . , published posthumously in New Haven, Conn., in 1921. In addition, there was a multitude of largely forgotten writings such as letters to newspaper editors, book reviews (signed and unsigned), and editorials. The great bulk of his publications, however, were the mass of journal articles. Of these, the majority are clinical and chiefly of ephemeral interest. A few were innovative, but the larger part are simply those basic constituents of the literature of medical science: sound contributions to medicine, items completely worthy of publication at the time, but concerning things that others would soon have described or accomplished if Osler had not done so. The remainder of his writings comprise the store of articles variously identified as literary, historical, educational, philosophical, and inspirational. Of sensible advice to guide student-practitioners, he had a generous supply. And his recommendations were singularly practical, if prosaic. Osler would fit no category of academic or professional philosophy; he protested that he had “never succeeded in mastering philosophy – cheerfulness was always breaking in.” Nevertheless his literate and readable essays present clear and rewarding insight into the values he lived by. He continues, many decades after his death, to interest and motivate physicians and medical students. As an historian of medicine, Osler was a productive scholar and an inspirational exemplar. His Evolution of modern medicine is a short, accurate, and unusually readable history of the discipline. He also wrote numerous historical articles in which he emphasized biography as a fundamental approach to history, but he differed from his contemporaries in honouring not only the famous but also the less well-known figures in medicine’s past. Several of his most engaging essays were published in An Alabama student, and other biographical essays (London, 1908). Osler abandoned theology for medicine after one year at university. What of his personal religion? He attended church, although apparently not with regularity. He seems to have avoided explicit discussion of his religion, or perhaps those with whom he did discuss it have remained discreet as to his opinions. Nevertheless, there are hints in his writings. Perhaps most pertinent is his personal avowal, towards the conclusion of an address delivered in 1904, “Science and immortality,” that “some of you will wander through all phases [of belief], to come at last, I trust, to the opinion of Cicero, who had rather be mistaken with Plato than be in the right with those who deny altogether the life after death: and this is my own confessio fidei.” The remark is typically non-authoritarian, yet his position – his hope, if not his conviction – on the question of immortality is clear. Osler was, by all accounts, a cheerful man, breezy and full of quips and jokes. He was particularly so in the sickroom. When questioned about his demeanour, perhaps after seeing a patient who was very ill, Osler explained by citing one of his favourite characters from Laurence Sterne’s Tristram Shandy, Uncle Toby, who whistled so as to keep from weeping. Sometimes, Osler’s spirits bubbled over into literary practical jokes. One such instance of joie de vivre almost backfired. While living in Montreal, he concocted a spurious and ribald account of the supposed sexual and obstetric practices of an Indian tribe in Quebec, sending it under a pseudonym to a friend who edited a journal. The joke got out of hand when the article was accepted and almost published. A few years later, a similar piece by him was published. With children Osler had a wondrous rapport. He knew what they liked and what amused them, and he seems to have been quite lacking in adult inhibitions about playing their games and joining their fun. Anecdotes abound of Osler ignoring adults and conducting with their children riotous games which sometimes required him to leap over a table or lie on the carpet in the midst of a tea party. Largely surrounded by more strait-laced Victorian contemporaries, Osler often shocked them, but children loved the man and he loved them. This love became a considerable part of his therapeutic armamentarium when, all too often, he was called upon to minister to a child who was seriously, perhaps terminally, ill.
A chief reason for Osler’s ongoing influence comes from his demonstrated embodiment of a tradition of humanism in medicine. Humanism was not something which he practised as an intellectual discipline, rather it was a part of his make-up. Here, “humanism” does not refer to any philosophical dogma or doctrine. It is a way of looking at people, a way that is well summarized by one of Osler’s students, who wrote that “among the many virtues of Sir William Osler was his spontaneous, natural, and kindly interest in patients and students, and in people in general.” Osler has come to be a significant, indeed a potent, role model. He is seen as the embodiment of the sympathetic teacher, the thoughtful friend, the concerned physician. Modern teachers who seek to convey to their students the archetype of the humane physician often turn to Osler. In Osler’s view, there was a need to promote humanistic attitudes at every level of medical life, from the beginning student (whether in medicine, nursing, or the related professions) to the busy practitioner. As he pointed out, “The dissociation of student and patient is a legacy of the pernicious system of theoretical teaching.” He saw the lack of contact between patient and student in medical school as the first step in a process which he thought would turn students and practitioners more and more to the compelling minutiae of science and – inevitably, he feared – more and more away from the art of medicine. Yet Osler was not opposed to scientific progress. Far from it. His clinical career makes that evident. He worked hard to promote scientific medicine. But science at the expense of art was wrong. Both needed to be there, not just one or the other. Today Osler remains influential because he was a great clinician, because he wrote and collected a magnificent library, and because he had an enduring impact on colleagues and students. The contributions to medical education do not bear his name but were strongly affected by him: bedside teaching of medical students and formalized programs for postgraduate education of physicians. But his influence continues strong especially through his humanism, a quality appreciated today because of a contemporary resurgence of belief in its importance in restoring art to today’s scientific physician. [There are three comprehensive reference tools for studying Osler’s life and career. The first is the biography by Harvey Williams Cushing, The life of Sir William Osler (2v., Oxford, 1925; repr. London and New York, 1940), for which its author was awarded the Pulitzer Prize. 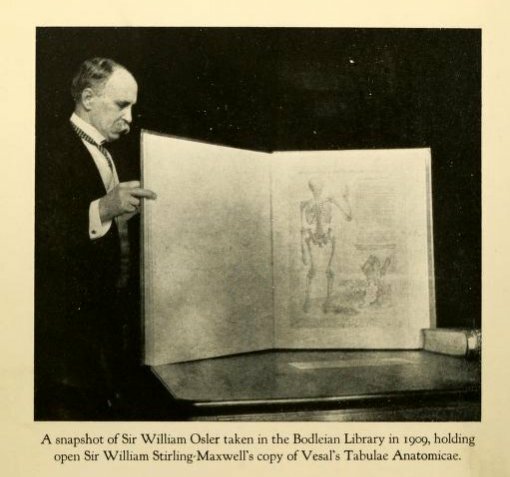 The second, Sir William Osler: an annotated bibliography, comp. R. L. Golden and C. G. Roland (San Francisco, 1988), contains around 1,500 entries and represents the product of 50 years of determined endeavour on Osler’s part. In the 60 years following his death, a similar number of books and articles were written concerning the subject. The third reference source, An annotated checklist of Osleriana, comp. E. F. Nation et al. (Kent, Ohio, 1976), cites almost 1,400 items, and this figure has increased substantially since its publication. The entire family of Featherstone Lake and Ellen Free Osler is described perceptively in A. [C. Boyd] Wilkinson, Lions in the way: a discursive history of the Oslers (Toronto, 1956). Significant archival materials on Osler are held in the Sir William Osler collection in the Osler Library, McGill Univ. Libraries (Montreal), as well as at Johns Hopkins Univ. (Baltimore, Md) and the Univ. of Oxford. Of these collections, the most important is that at McGill, which contains the mass of material collected by Cushing. Numerous portraits and sculptures of Osler were produced during his lifetime and following his death; these works are described in Alex Sakula, Portraiture of Sir William Osler (London and New York, 1991). Charles G. Roland, “OSLER, Sir WILLIAM,” in Dictionary of Canadian Biography, vol. 14, University of Toronto/Université Laval, 2003–, accessed April 24, 2019, http://www.biographi.ca/en/bio/osler_william_14E.html.